Do you need to prep some ground for a large project? You may need to smooth uneven land before breaking ground. You also might flatten soil or asphalt. Whatever the job, you should use a drum roller. This machine comes in two forms, and you just need to pick the right one. Here’s a guide on when to use a single vs. double drum roller. A road roller is a huge moving compactor. 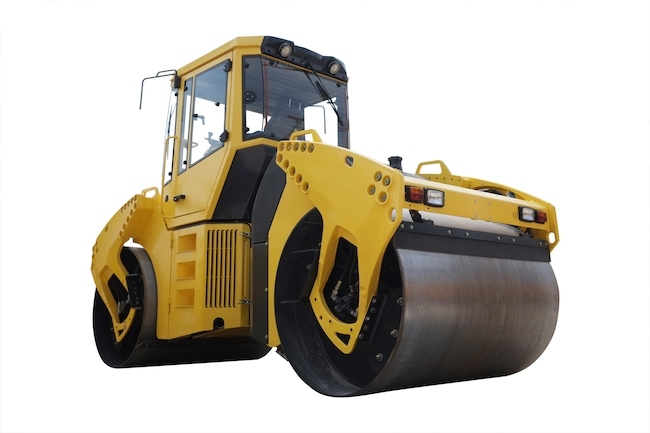 Most people know the road roller by a different name, the steamroller. It uses a circular wheel known as a drum to crush and flatten items. The engine of the roller spins the wheel at a high rate. It also has a lot of power behind it. That’s how it can roll over even large or heavy objects. Construction is the most common use for a road roller. Workers flatten roads to make them easier to pave. They also tear down and flatten foundations to make builds easier. You can pack a lot of soil into a small space by using a road roller. Road rollers are very expensive. Your best bet is to rent compaction equipment when you need it. Otherwise, you will pay a lot of money for the vehicle. Then, you will have to pay to store it and move it to various job sites. Those fees add up to a poor investment, especially when rental equipment is so cheap. The single drum roller is one of the two roller types, and the double drum roller is the other. You can tell them apart in an easy way. A single drum has one giant circular wheel. A double drum has two of these wheels, usually with one in front of the driver and the other behind them. Obviously, the double drum type drum roller will flatten more objects at once. Is that better? The answer depends on your job. A single drum roller is a heavy duty piece of machinery. The front has a giant drum while the back has special tires. These tires are sturdier and able to prevent most flats. You need these heavy-duty tires when you work on construction sites and roads. On the single drum roller, the driver sits in the middle section. This part is called the cab. It sits high, giving the driver a great view of the nearby area. The worker can see the places where they will use the roller. The single drum roller has a couple of uses where it’s a great choice. It’s smaller than the double drum roller. Due to its sleek size, you can work in tighter spaces with the single drum type. The single drum roller is great for prep work. You can easily level the ground for a sidewalk or driveway. These devices are also good for highway paving and creating foundations for buildings. Single drum rollers are heavier at the front, the place where the drum is. It won’t roll over some ground surfaces due to this extra weight. Due to the wheels in back, the roller does have good maneuverability for a vehicle its size. The main difference with the double drum roller is that it lacks tires. That’s good or bad, depending on your job. A double drum roller can smooth objects in front of and behind the driver at the same time. The trade-off is that the drums move the roller while flattening items in the surrounding area. For this reason, double drum rollers don’t have the traction of single drum units. You won’t use these vehicles for specialized work. They operate best on flat services or ones with gradual grading. The benefits of the double drum roller are pure power and efficiency. You steer twin drums across an area. As you do, you flatten and prep twice the area. That makes your project more efficient. With that extra coverage, double drum rollers work great with asphalt. Pavers can smooth entire sections of the highway quickly and accurately. You will also see workers smoothing parking lots and new roads. The double drum roller flattens the surface before paving. After the pouring phase, the roller levels the pavement to make it even. The power of the double drum roller comes from its pair of steel drums. These devices weigh at least a ton and can drive over most substances. Drum rollers are great for preparing and improving surfaces. You just need to pick the right one. The double drum roller is your best choice for heavy-duty asphalt applications. The single drum roller is better for most other jobs.